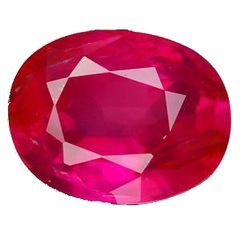 Ruby gem always holds a reputed position amongst the gemstones because of its multiple helpful aspects which collectively bring royalty in living status of the wearer. Ruby in its purest form brings fire in life by serving extreme courage to achieve something impressive. Rubies range from pink to blood red in color and are a variety of the mineral corundum. The purity of a ruby or Manikya is defined by its color, shape, hardness, clarity and its weight. A ruby having blood red complexion, weighing 3 to 6 carats is said to be the best healer. 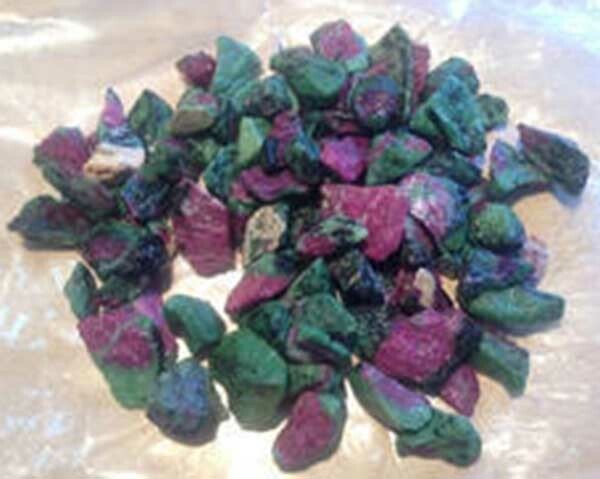 Initially, the Mogok valley located in Myanmar was the only source of natural rubies. The region has provided rubies in huge numbers and people have benefitted much from them. Sri Lankan rubies are generally light in color and are also taken commonly in use. Sun being the nurture of the stone boosts the wearer with loads of confidence and break downs the individuals connection with timidity. For those people who find difficulty in facing public and fail to get energetic insight for bringing accuracy in life, a natural ruby is very helpful as powerful waves from the sun adds each of the missing aspect and collectively bring signs of great success. The wearer of ruby gem earns support from people who belong to his/her work place, community and the family. People generally feel lost when they find no one standing up for them during critical situations and this gem is a perfect one to overcome such issues. Natural rubies are a true sign of passion and love and serve well in strengthening love bonds. It plays essential role while being gifted as indications of never ending feeling of love. Since ancient period till date, red ruby has helped in making better understanding between couples and this master quality of the stone has made it an asset other than just a gem. People who been in a state of depression can benefit from wearing a pure ruby gem as energies directed from the Sun have sufficient intensity and heat for building up self faith and perfection in activities. The stone scratches away negativity surrounding the wearer since long ago in short period of time and unblocks the channel of positivity and happiness in life. Way back when rulers and kings used to wear ruby gem indentified their class and luxurious standard of living. The wearer of this gem in today time is supposed to get similar luxuries and a supporting position of the Sun can bring floods of rejoice and a kingly standard surrounded with royalty. Many people suffer from a situation of choosing most appropriate profession which could take them to a level of satisfied living standard. That duration of confused mind can be immediately transformed into a clear vision with proper use of a ruby gem. Wearing a ruby gem following the correct pattern can help people in making best lifetime decisions where the gravity of accuracy remains at the peak. This quality of gem makes it helpful during examinations where concentration powers needs to be excellent. The astrological benefits of a ruby gem also cover some of the health problems as well. Issues like improper blood circulation and eye vision can be perfectly healed by wearing a natural ruby in its purest form. The results of this gem do not even take much time to be revealed as the wearer can feel the helping vibes within a short period of time. Maintaining healthy equilibrium between professional and personal life is very necessary for achieving success in life as both of them have their specific roles in making life more and more comfortable. 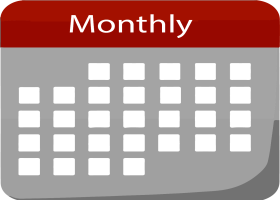 When people realize and reach that stage where it becomes challenging for them to have a smooth living structure where profession and personal both grounds ask for a better change then the powers of a ruby cannot be compared with any other technique. Once the sun sits at the perfect position in horoscope, the wearer of the gem is almost there to experience some happy moments in life. Pure ruby gem weighing 3 to 6 carats is considered more precious than the rest. Manikya ranging between 3 to 6 can said to be a perfect one and catches more majestic powers straight from the zodiac ruler, the Sun. Astrological concepts make it very clear that a ruby gem can show its greatest results when embedded in gold or silver jewellery. The stone looks beautiful and adds glow to any of the ring, pendant or bracelet within which it is used. The most precious time to wear a ruby stone ranges from 5 to 6 am of any of the Sundays where shukla paksha is considered the holy duration. Activating the stone within this period makes the stone inestimable and the wearer will surely grab best responses out of it. Keeping ruby within gangajal and honey is necessary for extracting negative powers if any. Doing this is essential as opposing energies can spoil the complete show and the wearer may suffer from other complicating issues. Burning incense sticks is meant holy before wearing any of the gemstone. Rotating such 5 sticks around the ruby with prayer recited in thoughts of the powerful Sun can boost the gem with healthy vibes of positivity. Om Suryaay Namaah is the mantra for adding more powers to the gem. Reciting the mantra for several times with sticks rotating activates the stone and then it is ready to be placed depending on the kind of jewellery. 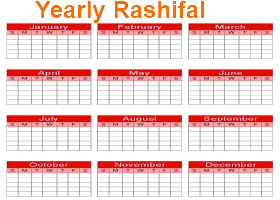 A perfect procedure followed for wearing set up great way of bringing blessings in life within a month or so. The supportive blessings from the sun then continue to show for a long time and the wearer experiences a great time. A gemstone when purchased demands for several points to be cross checked to buy one in its purest form. 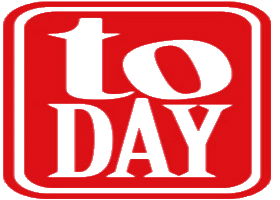 Adding quality of a gemstone by treating them is just a common practice which everytime not ends up successfully. Sometimes it gives the stone little scratches or impurities which takes away everything and leaves something of no use. Ruby gem can be better judged by its color which needs to be as dark as possible along with appropriate clarity and weight. Also the purchase must be made from a trusted gemologist who can make it clear that the stone is quality assured. Prices of gems vary from store to store and therefore must be checked once for making the deal budget friendly. Gemstones have served as a firm support for people and are going to stand for years long. The astrological community has left no doubt that they are much capable of fighting against imperfections in life and bring good time all together. Astrologers have been making their concepts more clear to provide people with best of the studies available and people at the same time are also coordination well to take such concepts to a different level. Gemstones are available quite easily these days at endless online and offline stores where people just need identify them in purest form to benefit exceptionally. Healing life problems with gemstones is actually the cheapest solution present in today world as the outcomes are better assured. One of the precious gemstone which is been ruled by rajasik planet Sun is known as Ruby. The rays emitted by it are generally cosmic rays as well as red infrared rays. An individual who will be wearing this gem stone would be in a position to avail a high position, favors, good health, prestige etc. 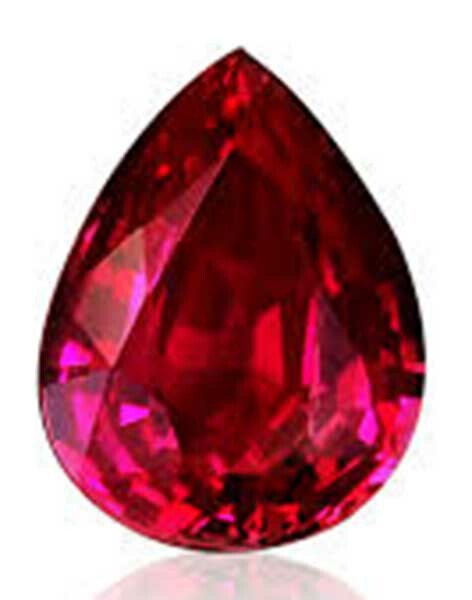 When Ruby loses all its colors and fades, onel will get to see a unique phenomenon of this stone. This would mean that, the wearer of ruby stone will have to face difficulties if all the colors of the stone gets fade. In such situation, individual has to be bold enough to face all such difficult situations. Similarly, if native is wearing sapphire stone and it fades, it would mean that, the stone have saved the individual from a difficult situation. If a pereson is having sun as benefic should make their mind to wear a Ruby stone. • Benefic sun being once placed in Libra. • Being the placement in 6/8/12 houses with an emblem of benefic sun. Ruby is the second hardest gemstone among all the stones, and Aristotle had declared it the best of all gemstones. Romans considered Ruby like a red flower in the world of gemstones and associated love feelings with it. It was hypothesized that Ruby can protect its wearer from Plague by turning darker. Men used to flee from their places when their Ruby turned darker and used to come back when it tuned lighter. If you want to get away from hypertension, you must make an association of Ruby with blue sapphire and garnet. If an eyesight ailment, ruby alone would be fine. If you can wear ruby with copper, it can make you get over from initial leprosy. Individual wearing ruby alone with gold can eventually get away from otitis media and osteosclerosis. • An enhancement of dominating characters as well as super ego would be done with ruby. Ruby is one of the oldest and most known expensive Gems liked by Kings and Queens after Diamond. Ruby is most suitable for Aries, while its red color signifies strong feeling of love and passion. 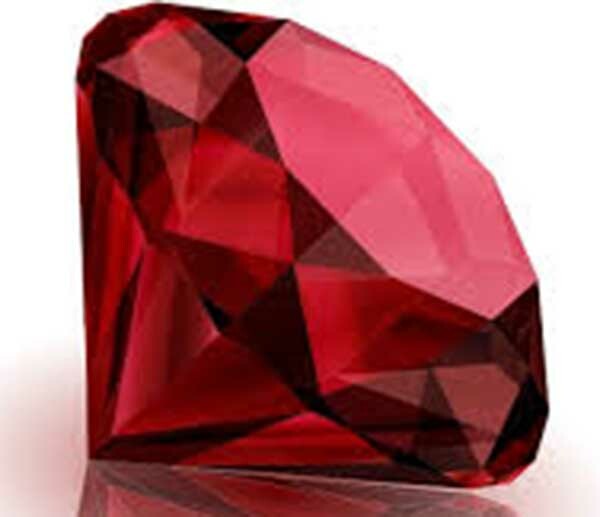 It is found in India, Thailand, Myanmar, Siberia, Brazil, Siam, and Sri Lanka in red color and sometimes a transparent Ruby can be found, but it is rare. It is compulsory to wash it twice in a month under running water and keep it under sun because it regains power from sunlight. Ruby is one of the expensive Gems available and having is big price range depending on the color and quality. 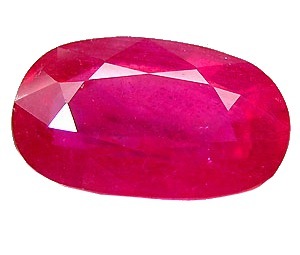 An Excellent Ruby should be Pink Colored with Crystal Clear with not much black spots and less cracks. Artificially colored Ruby should be avoided. 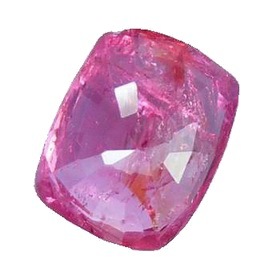 Star-Rubyby is known as a substitute to Ruby which is another pink colored natural Stone with price range Rs 40/- to Rs 100/- per Carat depending upon its color and cut. New Burma Ruby is available at the range of Rs 700/- to Rs 3,000/- per Carat depending on quality. Madacas Ruby is available at the price range of Rs 7,000/- to Rs 10,000/- Per Carat. Burma Ruby is available at the price range of Rs 7,000/- to Rs 12,000/- Per Carat. Note that : 1 Gram = 8 Ratti = 4.8 Carat and 1 Ratti = 0.6 Carat.